"Get All The Support And Guidance You Need To Get The Results You Want From Your Meeting!" This Book Is One Of The Most Valuable Resources In The World When It Comes To Delivering Your Network Marketing Opportunity So They Run To Sign Up! Keep reading to get the help you needâ€¦ Is the fact that you are not getting the results out of your meeting that you had hoped for making your life difficult... maybe even miserable? It seems like youâ€™ve tried everything you were taught and know how to do, and yet, despite your best efforts, youâ€™re still plagued with: â€¢ Not knowing how to set your goal for the meeting â€¢ Not understanding even where to start with getting materials together â€¢ Not knowing what location is best â€¢and many other things that have you scratching your head If this describes you, then it's a good thing you are here today... First, you are NOT alone! It may seem like it sometimes, but not knowing how to have a successful meeting is far more common than youâ€™d think. I ought to know, because Iâ€™ve helped dozen of people with the exact same problem... And...The exercise of organizing a meeting that is able to successfully achieve the goals it intends involves a lot of connective elements. There are several different aspects that need special attention and organizing. Why Learning How To Run Meetings Is Crucial To Your Success!" This is one area you must pay attention toâ€¦ Priority should be given to everything that is connected to the meeting and this includes covering areas from the beginning of the birth of the idea to have a meeting up to the actual follow up procedures involved after the meeting has taken place. Mapping out the intentions behind having the meeting would be a good place to start. The â€œwhyâ€ factor is very important to establish as this will give direction to the design and execution of the meeting content, venue, time, target audience and many other elements. Make no mistake about it... "The Costs of NOT Taking Control Of Your Meetings Are Just Too High!" Your lack of knowledge about running great meetings may not be your fault, but that doesnâ€™t mean that you shouldnâ€™t -- or canâ€™t -- do anything to CHANGE it! The costs of continuing to repeat this pattern are just too steep... I mean, think about all of the money youâ€™re wasting because of how this lack of knowledge costs money... the leads youâ€™re losing due to lack of knowledge is also impacting your business... Besides the attention that is given to the setting up processes of the meeting and its contents, the other important area that merits attention is the presentation material required for the meeting proper. As this is an opportunity to make an impact of the general target audience some thought should be given to this important element. So today -- in the next FEW MINUTES, in fact -- weâ€™re going to help you STOP the blame game, and learn how you can quickly and easily get your meetings under control... for GOOD! That is why I've written this book... "This Book Below Will Show You Exactly What What You Need To Do To Have Killer Meetings!" As a person just like you who has struggled with getting and staying successful with business meetings, I have searched high and low to find the best strategies to fix this problem and I am fully qualified and equipped to help you put an end to the agonizing failed meetings! The attitude one adopts when presenting or being an instrumental part of the meeting play a very important role in setting the general mood for the whole exercise. Therefore one should always learn to adopt and sustain a positive attitude through the whole process as well. Are you ready? 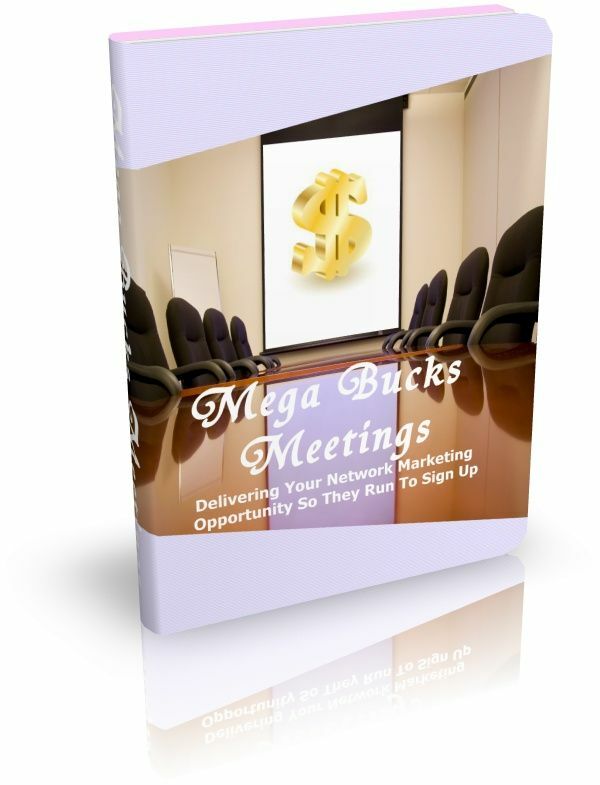 "Introducingâ€¦ Mega Bucks Meetings!" This powerful tool will provide you with everything you need to know to be a success and achieve your goal of running a successful meeting. With this product, and itâ€™s great information on running killer meetings it will walk you, step by step, through the exact process we developed to help people put an end to unsuccessful meetings once and for all. Who Can Use This Book? - Internet marketers - Network marketers - Life Coaches - Personal Development Enthusiasts - Self Improvement Bloggers - Web Publishers - Writers and Content Creators And Many More! In This Book, You Will Learn: Opportunity Meeting Basics Set Your Goal For The Meeting Put Together Presentation Materials Pick The Correct Location And Setup For The Room Dress For Success And so much more! "Why It Is Very Important For You To Invest In This Book Right Now..." What's really important now is NOT the tiny amount you'll invest in this book but how much you'll LOSE OUT if you don't! Understand that you could really be missing out on a golden opportunity to cash in on your meetings. Don't let anything stand in the way between you and your success with your business and getting your meetings under control. You see, how much longer are must people learn the HARD WAY before investing in themselves and thier business? 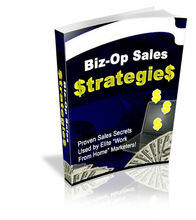 Think about how much you could change your life if you really applied the strategies in this book. You could be a success in your business meetings in a short period of time. I cannot even begin to imagine someone who would not take advantage of this - it's just a load of missed opportunities! Thankfully, you are a sharp person... otherwise you wouldn't be looking for a way to finally start having successful meetings. "Get All The Support And Guidance You Need To Get The Results You Want From Your Meeting!" Is the fact that you are not getting the results out of your meeting that you had hoped for making your life difficult... maybe even miserable? First, you are NOT alone! It may seem like it sometimes, but not knowing how to have a successful meeting is far more common than youâ€™d think. And...The exercise of organizing a meeting that is able to successfully achieve the goals it intends involves a lot of connective elements. 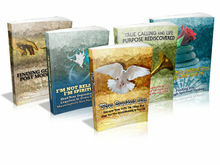 There are several different aspects that need special attention and organizing. Why Learning How To Run Meetings Is Crucial To Your Success!" Mapping out the intentions behind having the meeting would be a good place to start. The â€œwhyâ€ factor is very important to establish as this will give direction to the design and execution of the meeting content, venue, time, target audience and many other elements. "The Costs of NOT Taking Control Of Your Meetings Are Just Too High!" Your lack of knowledge about running great meetings may not be your fault, but that doesnâ€™t mean that you shouldnâ€™t -- or canâ€™t -- do anything to CHANGE it! So today -- in the next FEW MINUTES, in fact -- weâ€™re going to help you STOP the blame game, and learn how you can quickly and easily get your meetings under control... for GOOD! "This Book Below Will Show You Exactly What What You Need To Do To Have Killer Meetings!" With this product, and itâ€™s great information on running killer meetings it will walk you, step by step, through the exact process we developed to help people put an end to unsuccessful meetings once and for all. 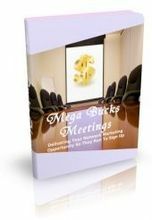 Understand that you could really be missing out on a golden opportunity to cash in on your meetings. Don't let anything stand in the way between you and your success with your business and getting your meetings under control. You see, how much longer are must people learn the HARD WAY before investing in themselves and thier business? Think about how much you could change your life if you really applied the strategies in this book. You could be a success in your business meetings in a short period of time. I cannot even begin to imagine someone who would not take advantage of this - it's just a load of missed opportunities! Thankfully, you are a sharp person... otherwise you wouldn't be looking for a way to finally start having successful meetings.